NEW YORK -- Betty Ballantine, half of a groundbreaking husband-and-wife publishing team that helped invent the modern paperback and vastly expand the market for science fiction and other genres through such blockbusters as "The Hobbit" and "Fahrenheit 451," has died. Charging as little as a quarter, they published everything from reprints of Mark Twain novels to paperbacks of contemporary bestsellers. They helped established the paperback market for science fiction, Westerns and other genres, releasing original works and reprints by J.R.R. Tolkien, Arthur C. Clarke and H.P. Lovecraft, among others. Along with such contemporaries as Pocket Books, which launched its own line in 1939, they made their publications widely available -- whether in drugstores, railroad stations or other non-traditional outlets. They issued some paperbacks simultaneously with the hardcover, instead of waiting several months or longer. Soon after marrying, Ian and Betty travelled by ship back to his native New York. They established the U.S. division of Penguin Books, and worked out of their apartment. In 1945, they founded Bantam Books, then part of Grosset & Dunlap, and went into business for themselves seven years later with Ballantine Books. One memorable Ballantine release was inspired by a hoax. In 1956, nighttime radio personality Jean Shepherd was telling listeners that they should ask for a new novel called "I, Libertine," by Frederick R. Ewing. Bestsellers at the time were based in part on requests at bookstores and demand was so high that "I, Libertine" appeared on some lists. But, as Shepherd's fans knew, and the public only later found out, neither book nor author existed. So Ian Ballantine convinced a friend, science fiction writer Theodore Sturgeon, to write -- and write quickly -- an actual "I, Libertine." Shepherd, who provided the book's outline, recalled years later that Sturgeon worked so hard he fell asleep before he finished the manuscript. 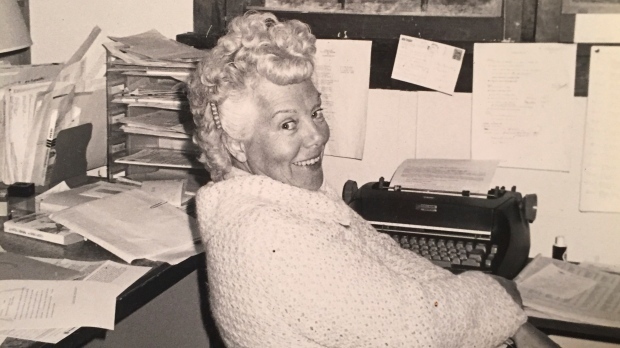 Betty Ballantine stepped in, handled the last chapter and "I, Libertine" went to print.